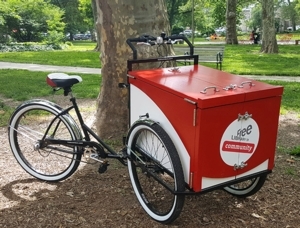 Free Library Book Bikes provide mobile outreach services to schools, to community organizations, and at events throughout the city. Pedaled by library staff, Book Bikes can be used to transport materials and will literally put the Library on the move! Be sure to look for us on the road and check back often for information on new services and scheduled visits! You can also find us on social media using #FLPBookBike. 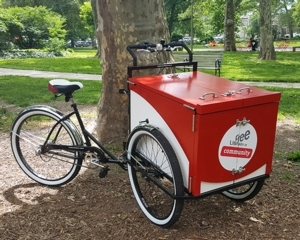 Please email bookbike@freelibrary.org for inquiries. 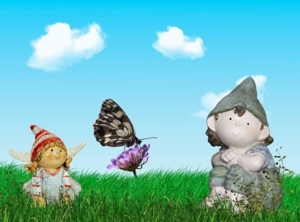 Tue, June 11, 2019 10:30 A.M.
Tue, June 18, 2019 10:30 A.M.
Tue, June 25, 2019 10:30 A.M.
Tue, July 2, 2019 10:30 A.M.
Tue, July 9, 2019 10:30 A.M.
Tue, July 23, 2019 10:30 A.M.
Tue, July 30, 2019 10:30 A.M.